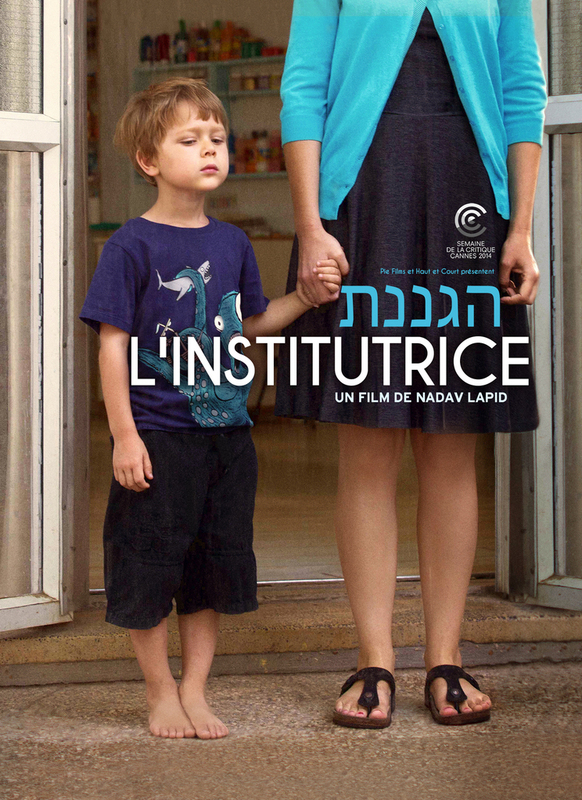 The Kindergarten Teacher is the latest work of Israeli auteur Nadav Lapid. As astounding as his 2011 film Policeman that hailed Lapid as one of art cinema’s most promising newcomers, The Kindergarten Teacher is a precisely conceived and intricately photographed film about a young teacher who becomes obsessed with the poetry of a 5-year-old pupil and sets out to protect him from a father and society that are too superficial to appreciate him. The Kindergarten Teacher premiered as a Special Screening in 2014 Cannes’ Critics Week sidebar, was most recently shown at NDNF 2015 and will have its theatrical release in NYC on July 31 at Elinor Bunin Munroe Film Center. Below is an interview with Nadav Lapid taken at !f Istanbul, February 2015. Dana Knight: This was one of the most beautiful and intriguing films I saw at !f Istanbul and they have a very strong line-up here! I know there’s an autobiographical element to your film, the poems in the film are actually your poems, the child-poet character being inspired by your own experience with poetry at age 5. Nadav Lapid: The poems in the film are poems that I was reciting when I was even younger than the kid in the film. The first poem called Hagar, was a desperate love poem to the older sister of a friend of mine. I was 4 and a half and she was 7 years old. And it went on like this for 2 years and a half. Twice a week, I would start walking back and forth and declare that “I have a poem”. Knight: That’s amazing. Who was writing them down? Lapid: My nanny, she was an actress, she inspired the nanny in the film. But when I was seven I stopped and for two or there months I didn’t write any poems. Until I recited the last one, the Separation poem, which is also the last poem in the film. This was probably also a separation from poetry, I don’t know. But since then I never wrote a poem in my life. Knight: Why do you think you made the decision to separate from poetry at such a young age? Lapid: I have to add I have no concrete memory of the moments I was reciting the poems. For me, there are the texts and the stories but I don’t remember myself doing this activity. But I have a kind of vague but also clear memory of my decision to stop. For me it was a question of following my instinct. It was also around questions of manhood, Israel is a very viral society. 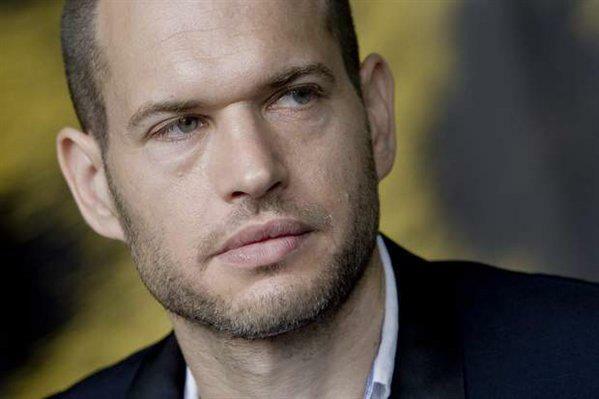 At the time I was being influenced by Israeli concepts of manhood and poetry didn’t seem like an appropriate activity for young Israeli men – too sensitive, too fragile, too exposed. But there was also this survival instinct, in a way being too sensitive is like going against a certain spirit that exists in society. […] And people who are sensitive […] understand that in order to be a dominant part of society, they should envelop their sensitivity with a certain toughness and roughness, etc. Not long ago I was interviewed for an Israeli radio programme about literature and I was talking with a poet about my decision to stop writing poetry. Since I decided to quit poetry, I never wrote another poem in my life. And today I can’t imagine myself writing poetry. I published a few novels. And she said that for her this talent is a kind of gift that you get and once you give back a gift, you’re not going to get it back. Knight: But you incorporated the poetry in your films. Lapid: Yes that’s true. During the years, I knew about the existence of these poems but this episode ended for me with a bitter taste, it was a kind of failure in a way. I didn’t want to hear about these poems too much. It’s only now, after 30 years, that I decided to look at them again. Knight: In the film the poem called “Parting” anticipates an actual parting. Both a parting from poetry and also from the teacher. Lapid: Yes, in the film the poem function as a declaration of parting, the kid tells the teacher and us how it’s going to end. Knight: If poetry is under siege from contemporary society, and considering that poetry stands for art in general, is art also in danger?Or cinema for that matter? Lapid: Totally. This may be my way to attach myself to this childhood experience today but poetry stands for every artistic activity that insists on containing contradictions and complexity, something that is not easily read or interpreted. Art lives a little bit on this strange dimension between strange and arbitrary and at the same time – essential and really important. Poetry on one hand is almost nothing, you turn your head and the poem is gone, on the other hand it aspires to talk on the deepest levels of existence. And this also applies to certain films, films that are in danger of being marginalised. If poetry or a certain cinema become marginal, ask yourself: will that cinema survive and should it survive? In a way, one of the powerful things about poetry is that a poet sits at 3am in front of his computer and writes some words on a piece of paper, it’s extremely personal, it’s very small but at the same time it speaks to all humanity and it becomes an existential hymn of people all over the world. It’s something very small and very big at the same time. And the same thing happens when you make certain films. Not in a studio in Hollywood, I’m talking about small, intimate films with a small budget and a small crew […]. These films talk about humanity in a much more sensitive way, they are small but universal and ambitious. Lapid: I agree. This cruelty is based on the fact that… sometimes people are just mean or cruel one to the other because of jealousy. But it’s as if each one of them is following their own “agenda” (we say “melody”), without a real capacity to be open to the others. Very often this “melody” is in contradiction to the others, or the characters just don’t connect. In the Kindergarten Teacher, the teacher really looks for a slight gesture of grace, of affection, of thankfulness from the kid but he is very ungenerous with her. He gives her so little and she grasps each small gesture, each gaze, each word that he gives her, and then he’s closed off again. Maybe it’s because he’s enjoying this disposition, his seductive power but maybe also because he has his thing, he’s egocentric. But then each one of them is egocentric. In a way there’s no real dialogue between them. Even when two people in the film are talking, each one of them gives an essential and existential monologue. She goes to see the kid’s uncle, she talks about herself, he talks about himself. When she goes to see his father, she talks about her view, he talks about his view. When she talks with the nanny, the nanny is completely preoccupied with herself. Each of these characters are preoccupied with their own declaration of existence. What people are doing in the film: they pretend to be talking to each other but in the end, they are standing in front of the camera and give their declaration of existence. They declare themselves all the time. And these declarations, quite often, are in contradiction. It’s very rare that they really communicate. Knight: The camerawork is very suggestive of this, you generally frame characters separately rather than grouping them within the frame. How did you conceive of the film style for this film? Lapid: There’s something in the film that is a bit off all the time. We observe the kindergarten teacher and we observe the kindergarten teacher observing the universe, especially the kid. And I try not to make everything about separation. There are sequences in the film where in one shot you pass from the subjective look to the objective look, from the inside to the outside where everything is mixed. I generally use long, complicated, elaborate sequences and shots. But the idea of doing this with twenty five 5-year old kids looked impossible. When we started rehearsing with the kids, I realised it was impossible to contain or to control them. Secondly, it wouldn’t be interesting. If you make a film about kindergarten, kids should be not only a story element, but a material element, an essential element, on the screen not only in the script. Also, I wanted to avoid the cliche of poetic films. There are films about poetry with very “poetic” shots. In the editing, the film is always moving between high and low. For instance in the fantasy scene with the nanny, you see the sea behind her, it’s very sublime then you see the sidewalk. Knight: Talking about working with children, where did you find the child who plays the main character? His performance is quite extraordinary. Lapid: The child is very young. […] Normally you would choose an older child who looks younger. But we decided on this child who celebrated his 5th birthday during the shoot. Generally at this age, there’s something that combines a huge imaginative and verbal capacity and unsteadiness on a physical level. The child can recite sublime words and almost fall when walking to and fro. I like this because this is the contradiction, he is a walking paradox. The difference between what he says and his face or his body or his height. We found this kid in a gym class in a small suburb of Tel-Aviv. He comes from a middle-class family, his mother works in a bank, his father is an engineer. They have nothing to do with art, theatre and the kid never acted before. For me, he had this combination: on one hand, he’s not the cliche of a strange kid. He’s a normal kid but at the same time you feel that he’s troubled, he’s secretive, he’s busy in his mind. Working with him was quite easy […]. He had a real talent for grasping the emotional situation in each scene. […] So we didn’t talk about the script that much. Usually I don’t talk with actors about the script, we talk about scenes. I like it when actors have their own will and don’t care about the script, the script is my problem. Knight: You want your actors to just inhabit the characters, without trying to convey an interpretation of them? Lapid: Exactly, just inhabit the characters. There are 1,000 scenes in the life of a character, and only 50 are being shot. Knight: There’s also a lot of humour in the film, I’m thinking of the poetry class and the discussion about the poem’s possible meanings. They all come up with different interpretations and they argue about it. Also the poems themselves: they come across as something deep and suddenly there’s a casual, throw-away line such as “or something like that”. It’s funny, I liked the light touches in the film. Lapid: Yes, the French call that “décalé”. As if the script stands suddenly aside, two meters from what you see. Knight: There’s an ironic distance. Lapid: Exactly, there’s a distance that has been created. For instance the poetry classes, one might see it as a bit of a joke. When the teacher talks about the poem Hagar and says that this is the poem of someone who saw so much beauty. And we know it’s the poem of a 5-year old kid and what has he seen? So yes, it’s a bit ironic but this is also the strength of art, of poetry. We have this tendency to make a psychology of art all the time. But art is this wonderful, mysterious thing. The fact that someone who lived all his life in Manhattan can make an unbelievable film about a young, Black girl who lives in Nigeria. People can go to all sorts of places that they have never visited personally in real life. You see this total disconnection between art and autobiography. Knight: To end on this note, where does it all come from, art and inspiration and creativity? You are in the best position to try to explain this mystery. Where did the poems come from? Knight: Under her apparent control… It’s just that he’s not under her control at all.